The code generates an analog signal using the internal DAC according to the PAL and NTSC standards described here. 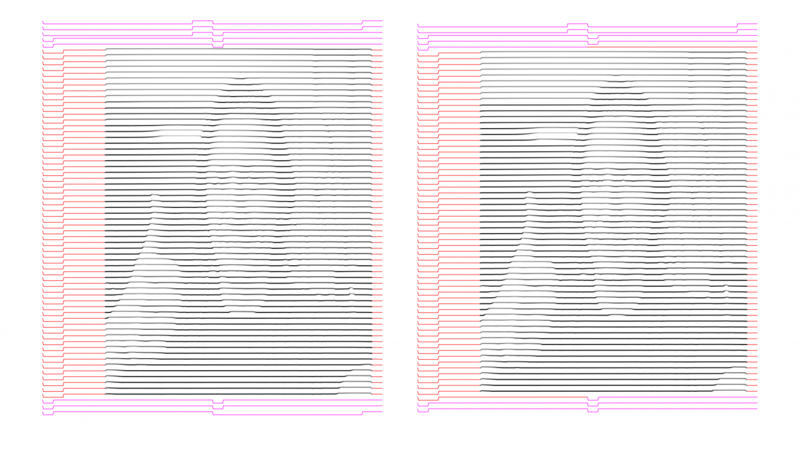 Each image consists of two half frames (even and odd image lines). The blank level is at ~0.3V(values depend on PAL/NTSC). The synchronization is done using some pulses at 0.0V. 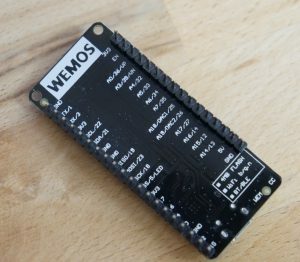 To generate the signal the internal 8bit DACs are used which can generate voltage levels between 0 and 3.3V at a ver fast rate using I2S. Since the composite signal is defined between 0 and 1V just the DAC values of 0 to 77 are useful. This results in 54 gray values for the image. Color is currently not implemented since it’s based on a frequency over 4MHz. We could generate a simple signal of 6.66Mhz consisting just of two values, but we would miss the target frequency and the phase shift would result in random colors. However this might be explored in a future project. The Image class enables you to render gray scale images on the screen and the Graphics and Font classes allow to print text. 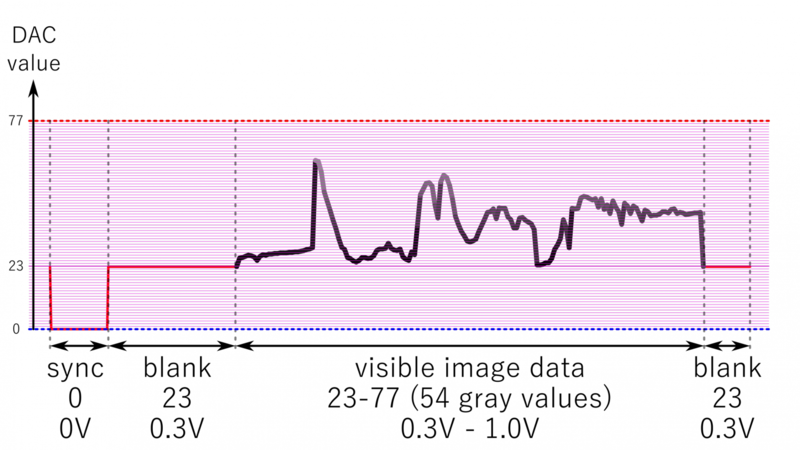 However, the image values should not exceed the maximum supported gray values which are currently 54. This has to be set in the converter before selecting the image. Higher values can be used as an transparency index. Fonts are Images of the ASCII characters starting from 32. Check the png of the font in the repository. The fonts can be converted using max value 255. Currently 0 is used as background and anything ales as foreground pixels. Check out the CompositeVideoSimple project from the github repository. 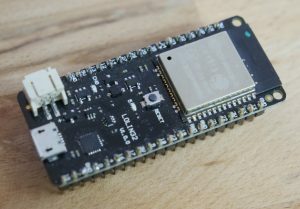 Sadly, there is not much memory available on the esp32. The most is used for the front and back buffer of the image. So there is no more room for a Z-Buffer on reasonable resolutions. The parameter describes the maximum count of triangles which will be drawn. 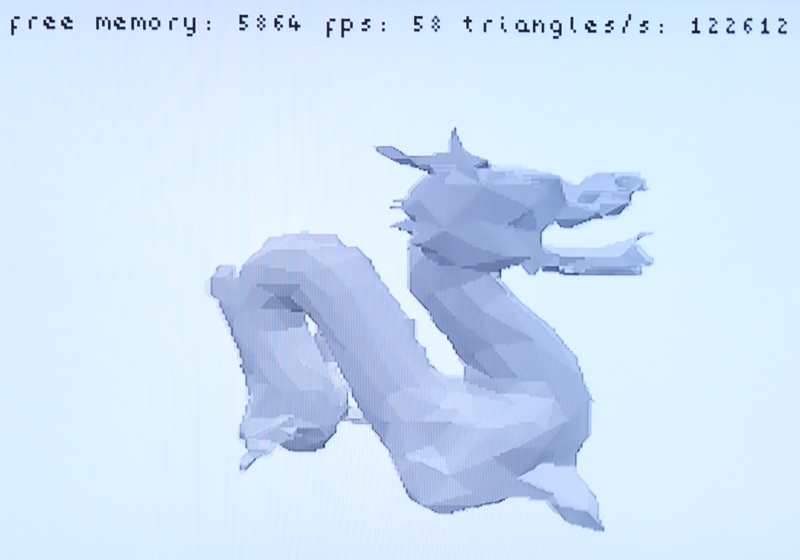 Since the is back face culling implemented meshes of approx. twice the triangle count can be drawn. The mesh itself need additional space for transformed vertices. Im total models of around 2k triangles can be drawn on CGA (320×200) resolution which already fills almost the complete 200kb available at the start. This new version of the stl converter wraps the exported data in a namespace named after the source file.